Is running a business leaving you stressed out? Are you like many business owners and have very little time for family? Do you lay awake at night wondering what you can do to fix it? If any of these things sound familiar to you, we encourage you to come and have a no-obligation chat to us. We see far too many business owners stressed in their businesses, confused as to what to do next and struggling to understand how they’re really performing. We’ve got the experience and the team to lift the fog and get you back on track. Our approach to business advice is best explained as a relationship. When we start working with a client, we see ourselves as part of the team. We take the time upfront to get to know you personally, by having a casual chat over coffee. In these discussions, we’ll find out where you want to go, what you’re struggling with and what’s important to you. By understanding you, your goals and your business, we’ll be better positioned to help you succeed. These business advisory partnerships are founded on mutual respect, trust and regular communication, just like any relationship is. Our advice follows a three-step process of understanding, creating and reviewing. We’ll invest time into understanding where you’re currently sitting and where you want to go and then sit down with you to create a detailed plan to help you get there. Lastly, our team will meet with you regularly to see how you’re going and make changes to your business strategy as needed. At Your Business Doctor, we love a challenge. If you’ve got a problem in your business and you’re unsure how to tackle it, have a chat with us. We’ve helped other New Zealand business owners improve their cashflow, increase business performance and profitability, streamline their office, increase the efficiency of their business systems and reach their goals. If you want to work with a business advisor who’s on your side, talk to our team today. 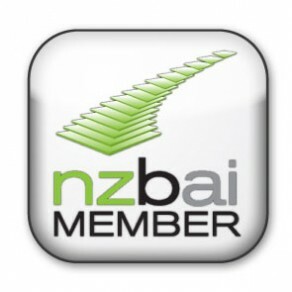 We’ve got advisors who can help whether you’re in Auckland (South, West, Central and North Shore), Bay of Plenty, Wellington, Northland or elsewhere in the North Island. If you’re going into business and want it to succeed then you need to have a solid business plan in place. The team at Your Business Doctor are experts in preparing business plans and budgets and can walk you through the process. A business plan is vital, you don’t just need one to secure funding but it also helps in many other ways. A carefully prepared plan helps you map out the path to success (whatever that may look like for you), gives you a strategy for reaching your goals, ensures understand what’s going on in your business and identifies the factors that impact your business. On top of all this, they can keep your staff motivated and on track. Geoff and the Your Business Doctor team specialise in helping business owners get set up right from the get-go. Have a chat to us to find out more. Unfortunately, there are many business coaches and mentors out there who charge a lot but don’t deliver results. Your Business Doctors take a personal approach to mentoring to ensure we have a positive impact on your business. As mentors we have a wealth of knowledge to bring new skills, perspective and experience to your business and have an extensive network of connections. We’ll also keep you accountable and on track, helping you to focus on the activities that will benefit your business most. We’re not just business mentors though, we’re a part of your team and see you as our friend. This means we’ll be there through the ups and downs of business life, helping celebrate your success and pushing you through the rough times. Get in touch to find out more about our independent health check. Effective systems enable a business to run smoothly. Without the right systems and process in place, you can’t expect your business to operate effectively. At Your Business Doctor, we work closely with new and existing businesses to create and implement streamlined business systems. Our focus is always on improving the effectiveness and then the efficiency of these processes. Our clients enjoy time savings, increase profitability and staff happiness as a result. Occasionally an organisation may require a meeting to be chaired by a neutral or independent chairperson or mediator. Geoff Abbott, founder of Your Business Doctor brings extensive experience in meeting procedure, as well as the skill to ensure that all points of view are heard, without one dominating. We ensure all meetings are run in accordance with organisation rules and established New Zealand law. Our approach is interactive with all parties. We consider it important to liaise with the client prior to the event so that we are fully briefed on the issues involved. We’ll help you resolve issues, problems or disputes and get you out of an often tangled and difficult situation.